4 pieces foldable pole and 4 pieces corner joint included. 25" long in each pole. 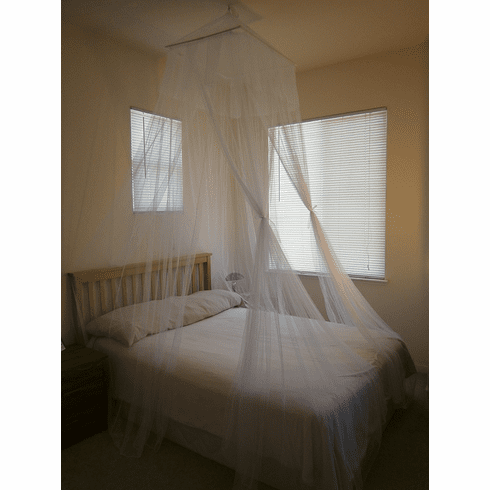 Square top with 4 side opening bed canopy insect net with valance. each opening with 8 inch overlay.